Quill is a privately owned service and software house, established since 1978. Our 80-strong workforce, located across three offices, includes a dedicated team of Quill Payroll co-ordinators who provide a fully outsourced payroll and pension management service to our growing number of clients. We’re dedicated to employee engagement and hold 1 star status by Best Companies in recognition of our caring and nurturing approach to every one of our valued employees. We’re equally committed to an ongoing corporate social responsibility programme which has led to thousands of pounds being donated to charity. This, along with our active support policies for employees with disabilities, has earned us the esteemed accolade ‘Employer of the Year 2016’ by the Multiple Sclerosis Society. There’s further evidence of our recognised, respected status too. Our payroll bureau, based predominantly in Liverpool, achieved Bacs ‘excellent’ ranking during its latest inspection and our payroll software comes with the HMRC stamp of approval. And, with over 37 years’ experience, 4000+ payroll calculations performed monthly and Chartered Institute of Payroll Professionals-accredited clerks, you can enjoy complete confidence that your payroll function is in the safest possible hands when you outsource to us. To backtrack a little, in our early days, we exclusively offered accounting software specifically for the legal profession. Nowadays, our legal accounts and practice management system, Interactive, continues to be our flagship product with an extensive feature list which has secured two consecutive gold awards in the ILFM’s Solicitors’ Software Users Awards. For law firms, we also offer a fully outsourced cashiering service, Pinpoint, and we’re now probably the largest single employer of legal cashiers in the country. In sum, our wide range of quality solutions has attracted over 5000 professionals to our user base and an ever-lengthening list of reference sites willing to sing our praises to other prospective clients. 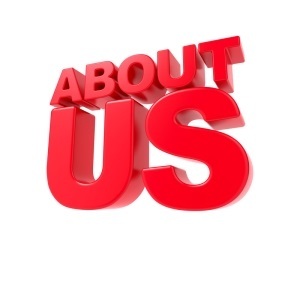 Want to learn more about us? Get in touch by calling 0161 236 2910 or emailing info@quillpayroll.co.uk.